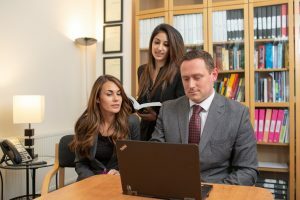 On April 1st 2014, the Legal Aid, Sentencing and Punishment of Offenders (LASPO) Act came into effect, which had the effect the of removing legal aid provision for clinical negligence claims except for very specific cases. Legal Aid remains where the claim concerns a brain injury to a child which has resulted in a severe disability, providing the negligence occurred during the first 8 weeks of life. We have a Legal Aid Franchise which means that if your claim is eligible, we can make an immediate application for Legal Aid. If your claim does not entitle you to Legal Aid, a claim can still be brought under a No Win-No Fee agreement. If you would like to find out more about legal aid, or alternative ways of funding a claim, such as private funding or damages-based agreements, call us on 0800 952 0010 or 0116 254 7456 or email: enquiries@moosaduke.com. You can also enquire online by clicking here.